This last statement may come as some surprise to the tech community which is told on a very regular basis that advertising is being disrupted in all sorts of ways and is (figuratively) lying in hospital on life support. Some of these beliefs are almost true – driven by technological development in three key areas and interestingly they have done so by moving backwards along the development process. How has tech changed marketing? First, the “distribution” aspect of advertising (what people in the ad industry call “media planning and buying”) has been under a sustained assault for more than a decade now as clients look for efficiencies with their media spend. Secondly, as technologies have allowed scale, other “back-end” aspects of the industry – production, printing, image retouching etc – have also come under attack and experienced radical change. Again, these changes were driven by clients seeking cost reductions. The third major area of change has been what ad people refer to as “insight generation”, basically getting to know your audience. In recent years the advance of technology and widespread adoption of social media has seen the generation of phenomenal amounts of consumer data – purchase patterns, preferences etc. All those social media interactions generate information that allows marketers to know you just that little bit better. Some of it of course feeds into the media planning and buying process, but as you’d hope, it also feeds into other areas of marketing like product development and for ad folk, the development of genuine insights about audiences that help to make better communications. The impact of digital has seen a entire new class and discipline in the industry that didn’t exist 15 years ago. Large marketing portfolio companies like WPP and Omnicom are acutely aware of this and are constantly merging, divesting, and investing in start-ups that improve their offering to these clients. However, for all the benefits technology has provided in the the one area that has proven impervious to “disruption”*, it is the bit that requires human input, the bit that asks for humans to communicate with other humans, and which is therefore the most important. In advertising it is referred to as the “creative”; interestingly (and a little depressingly) in tech is prosaically referred to as “content”. The tech industry has always had an ambivalent relationship with marketing and its subset, advertising. When not confusing marketing with sales, and advertising with media planning and buying, or indulging its obsession with trying to disrupt the industry, tech companies are sometimes forced to make faltering attempts at marketing for themselves. The result of these attempts is evident all around us, and almost universally terrible – from betting apps, to cash for gold, to insurance services, to payday lending sites to name but a few. 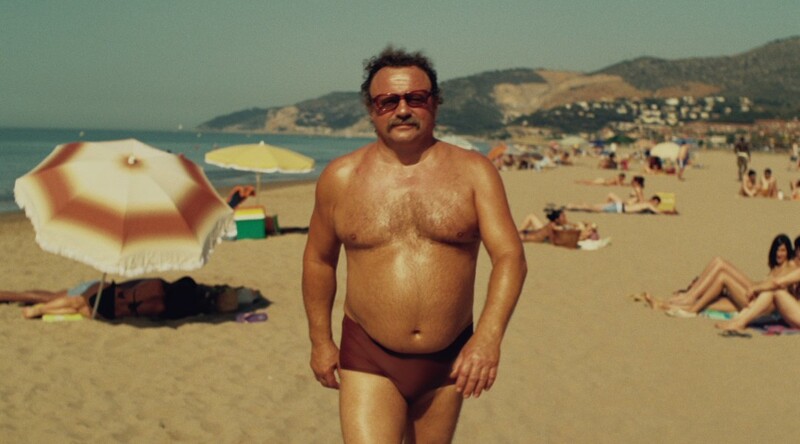 Marketing propositions are generally weak and undifferentiated, execution is poor – an over-reliance on A/B testing means that whilst the better creative (not content, thank you) runs, it is the lesser of two evils rather than something of true quality like the Southern Comfort ad**. Compounding the creative problem, many tech advertisers opt for media strategies that are either based on saturation bombing the mainstream media or the mistaken belief they will produce the next viral hit and won’t need media spend at all. The former strategy DOES work, but is highly wasteful; the latter, driven but a misguided unwillingness to spend, is hugely unreliable and largely luck rather than good management. For companies who are using venture funding for these campaigns, it’s a dreadful waste of precious funds. For companies who are generating revenue, it’s slightly less of an issue because this approach will often increase the volume of sales, but does so at risk of damaging your brand and driving the commodisation of your market; both are bad in the long term. At this point you may likely point to businesses like Facebook and Google who got where they did without advertising. You would be correct to do so. If you are the next Google or Facebook, please feel free to ignore this article, as I clearly have nothing to teach you. However if you are like pretty much every other business, at some point you will need to market, and eventually that will mean advertising. Who is doing a good job? The excellent awareness campaign that Hailo have undertaken – realising that their audience is just as much the drivers as the passengers lead them to focus on bus shelter advertising and strongly branded taxis. Returning to Apple. To steal a phrase from football, their approach of “Total Marketing” is something to which every tech company should aspire. Look around you for partners… now! Finally, and most practically, as we try and forge a new tech powerhouse in East London (indeed across the UK) we should not forget that the UK is already a world leader in marketing services, and particularly advertising. There are firms across London and the country who are more than capable of supplying the sorts of services that tech companies need to take on each other, and eventually, the world. Most tech start-ups in the UK already have branding that is far superior to that of their contemporaries worldwide – mostly because most tech founders have contacts in the design industry. But services go far beyond that. Tech City co-exists with a hotspot of marketing services firms, global creative powerhouse Mother, sits at the heart, and new hotshops like Fearlessly Frank can be found within a short walk of Hoxton Square. Whilst the announcement of Tech City saw an influx of potential entrepreneurs, the area has long been the home of advertising creatives (particularly). Whilst many creatives are already employed full time or as freelancers, given the chance, many would be interested in doing something unusual that isn’t for a multinational pharmaceutical company or manufacturer of pet food (which honestly is pretty dull work). It’s just a question of networking and making a deal. Best of all, this can all happen, now. The resources are already there. All that is needed is an introduction, an exchange of ideas, and (honestly) for tech companies to understand that as awesome as their product is, no one will buy it if they don’t know about it. * Interestingly, Disruption is the title of a very widely read advertising book by Jean-Marie Dru, the founder of the TBWA group. Dru took the management theory of Schumpeter and adapted it to advertising. The book was published in 1996. ** If you’re of a more quantitative persuasion, you’d say that most of this advertising sits at the middle of the distribution curve, where as the truly excellent work is off to the right where it doesn’t have to fight to stand out. Just found this article on the web. Very insightful analysis.